So I have spent the last few days, in between my real life and online life tasks, playing a new game on my iPhone. It has become a little addictive and right now as I write this post, I am waiting for my lives to be awarded back to me, so I can get the play unlocked and try my hardest to get past level 21!!!! Grrrrr I have been stuck on level 21 for the last 2 days!!!! 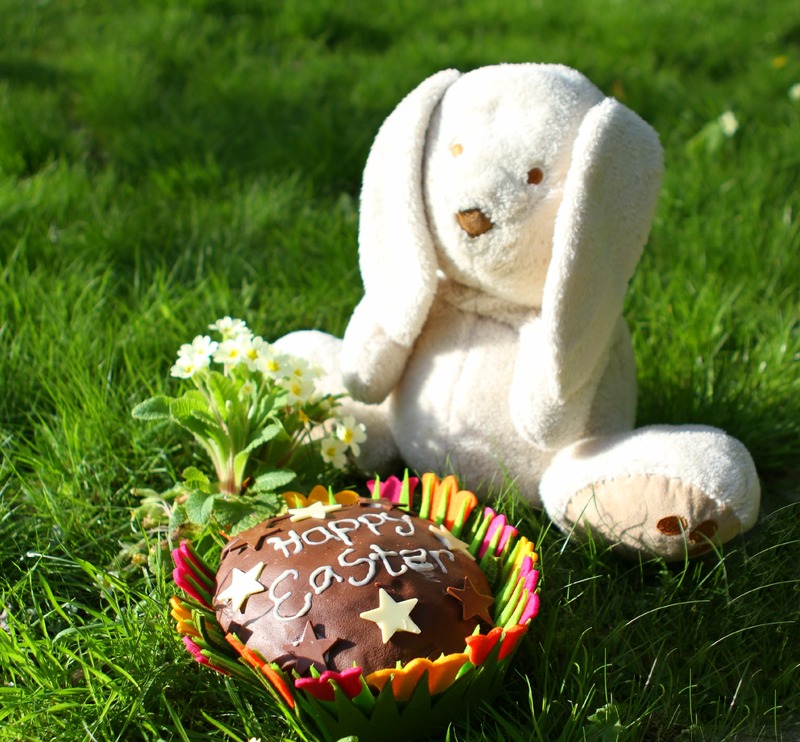 I recently bought myself a new cake pan in the sale, as you do, an Easter egg one which I thought would make a lovely cake for Easter Sunday when my family and I go to my OH’s parents for our traditional Easter Sunday lunch and egg hunt. 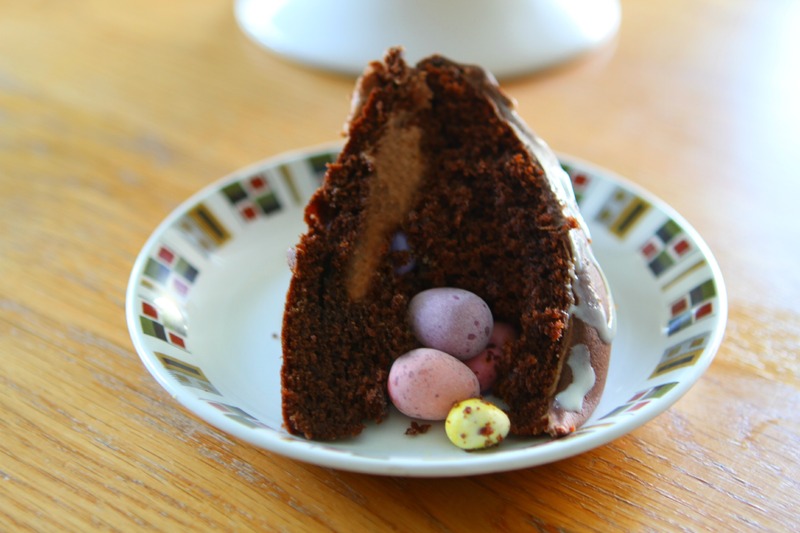 I also adore mini eggs, they are my favourite type of egg, chocolate or otherwise, and I wanted to incorporate them into this easter egg cake somehow. 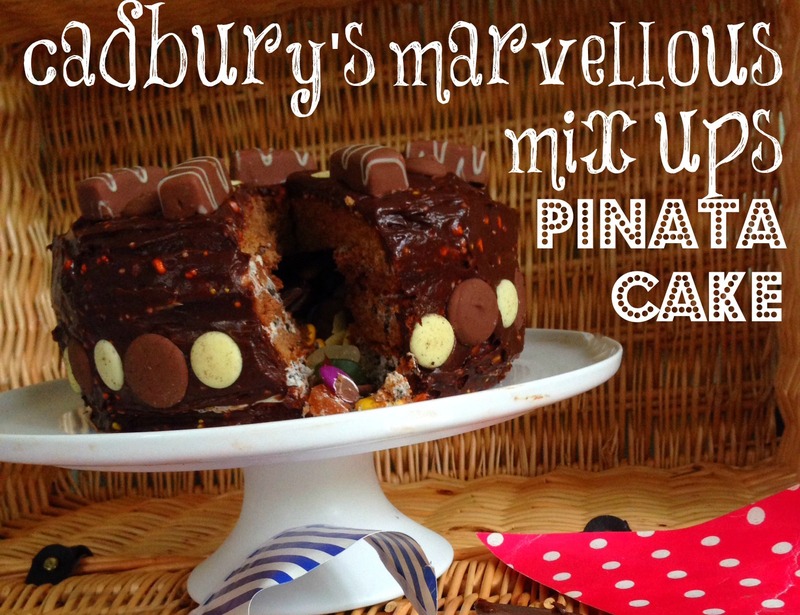 Another thing I really like and have wanted to have a go at recreating myself , is the pinterest favourite cake filling – the pinata cake! 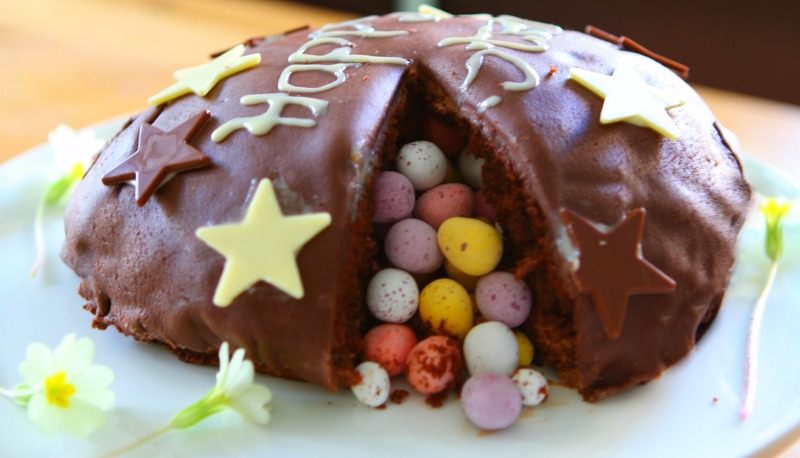 Mostly I have seen this effect done using smarties or skittles or even M&M’s – I thought why not use mini eggs? 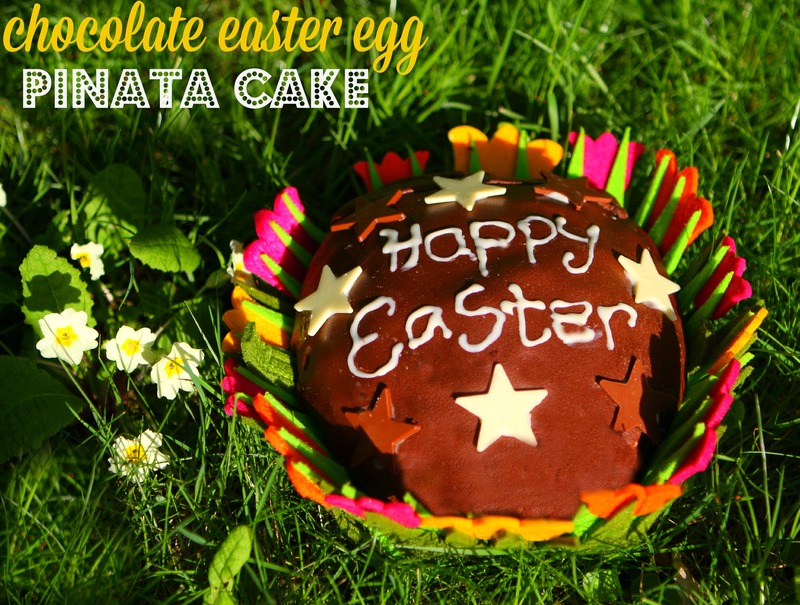 And that is what I have done with my Chocolate Eatser Egg Pinata Cake. 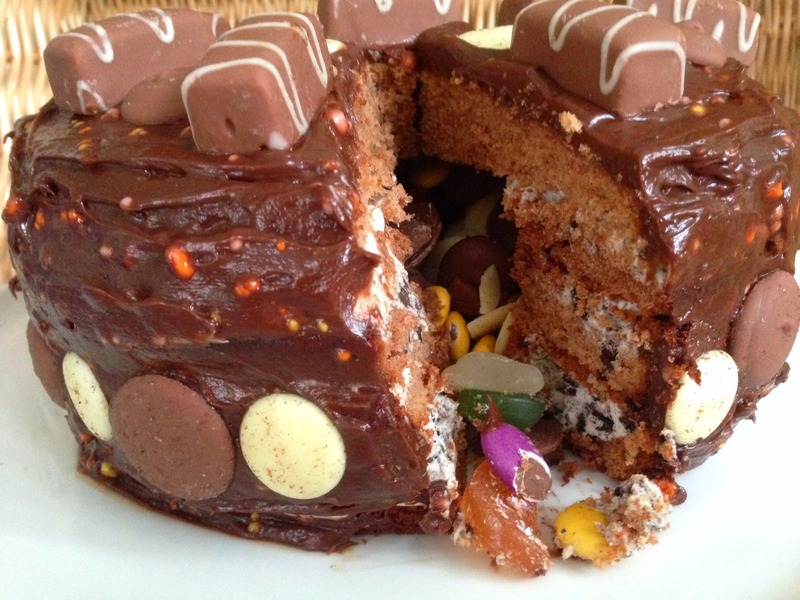 This cake was delicious and the boys loved seeing the mini eggs fall out when it was cut open. I think that using the chocolate ready to roll icing was effective and from a distance made the cake look like an actual chocolate easter egg. 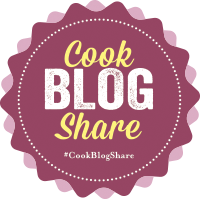 Obviously, using coffee granules in the sponge and buttercrean is optional and if this was for children then just cocoa powder would probably work better as not all children enjoy the taste of coffee. 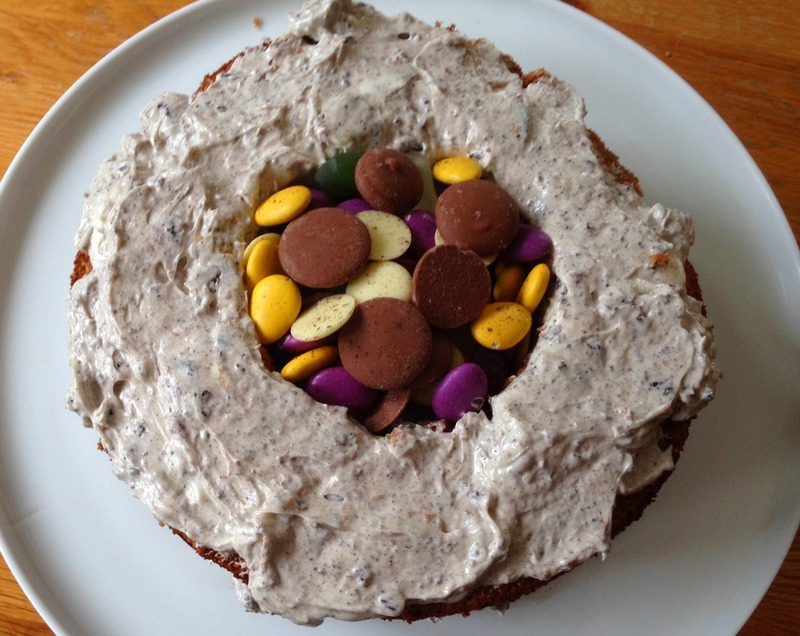 However, that said I really liked the subtle taste that the Beanies Coffee Granules added to this cake. 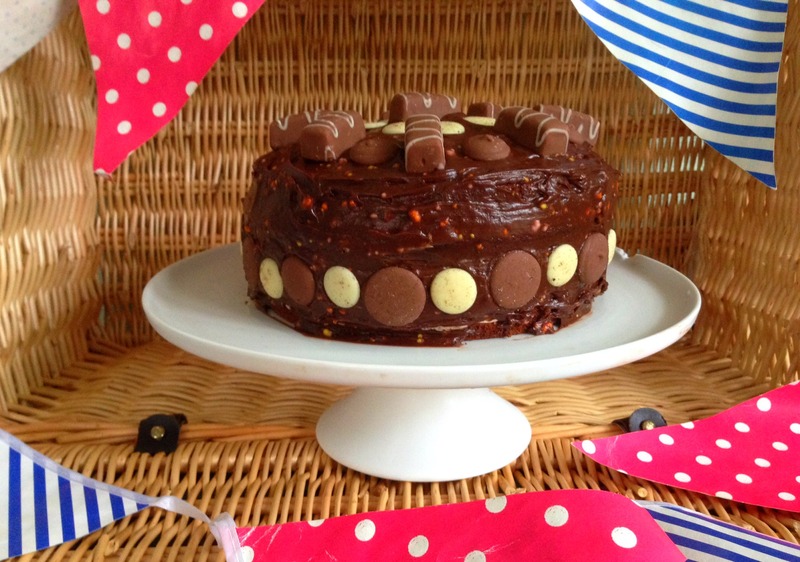 The cinder toffee flavour used in the sponge was nice – the flavour added an extra dimesion ( and fragrance), and the double chocolate coffee in the chocolate buttercream added some lovely texture with a light coffee flavour. 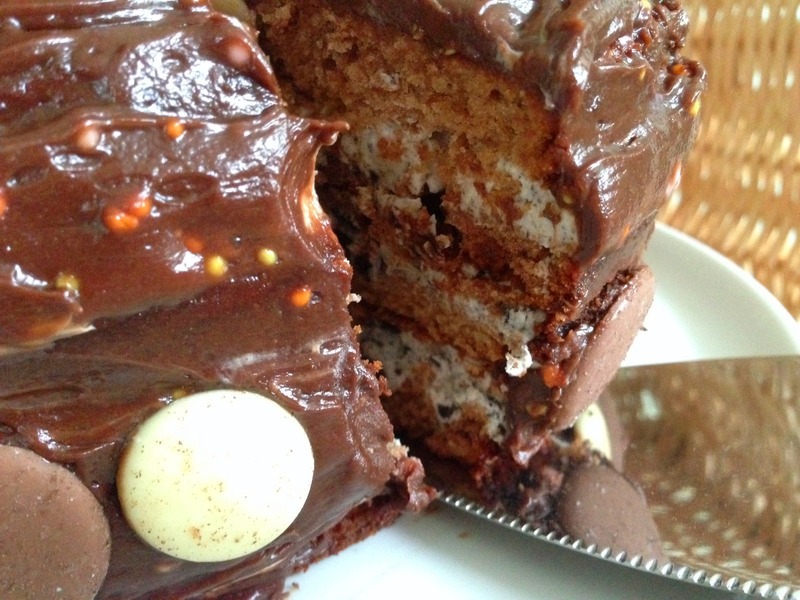 I will be making this again for Easter Sunday. 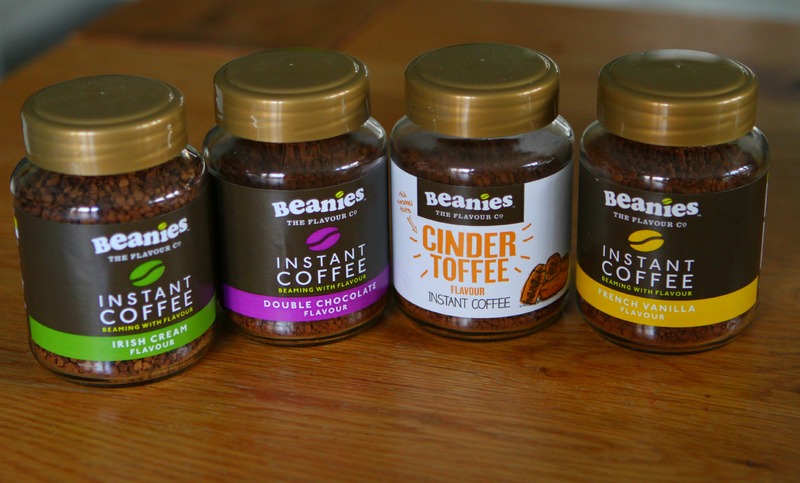 I was sent jars of the Beanies Flavoured Instanr Coffee for the purpose of devising a recipe.